Numbers is not the most popular book of the Bible but truth and inspiration are tucked inside this precious book. Let’s take a look! We see in Numbers chapters 1 – 5, God counting the people, organizing their camps, giving out their duties and commanding that his children remain undefiled – a pure people, set apart for Him. Can you imagine what the nations around Israel thought as they looked down from the hills on their camp site? 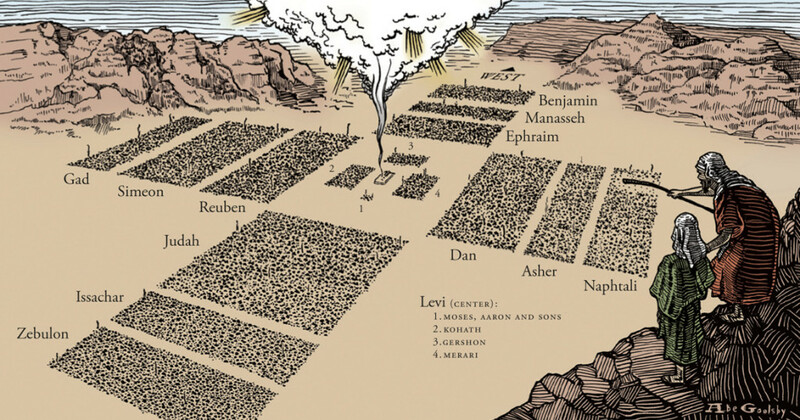 With the Tent of Meeting in the center, which had a cloud of fire over it, God commanded all the tribes to surround it in an orderly way. 1.) We serve a God of order. Are you the orderly type? Are you a detail person who likes numbers, lists and laying out plans for the week, month and year. You are reflecting the character of God when you live out this trait in your life. What did God number first? 2.) God uses warriors for His glory. All God’s children are warriors called to fight spiritual battles daily. If God were counting spiritual warriors – ones who are prepared to fight for truth – would you be counted? Are you one who sits on the sidelines letting others take the gospel into dark places or do your roll up your sleeves and work hard for the Lord, despite the intimidating battleground? We are all in a spiritual battle, stand firm. As God organized Israel and numbered the warriors – he appointed Moses and Aaron to take the lead. Then he organized their camps by households, families and tribes. Tribal leaders were appointed for each tribe. Have you been appointed to lead something? God appoints leaders and uses them for His purpose. Do it for His glory! While warriors and leaders matter – we see God valuing the role of worship as well. The Levites were exempted from fighting and were assigned the duties of caring for the tabernacle. These were very serious duties and a matter of life and death if performed wrong. If you were counted by God, would you be counted as a worshipper? We need those in the church who take God and His word seriously. We need leaders of worship to remind us, as we fight our daily battles, to stop and simply rest in God and His greatness. Some of us may relate more to the warriors – others may relate more to the worshippers. 5.) God gives each person a different burden to bear. When the presence of God moved – the duty of the Levites was to gather the items of the tabernacle and carry them. Each tribe of Levites had a different assignment and they each had different burdens to bear. Some were heavier and some were lighter. Some were carried on poles and others on their shoulders. In the same way, each of us have different burdens in life that we carry. Some are heavier and some are lighter. Our trials and circumstances may differ dramatically, but God’s grace is sufficient. He sees and knows our burdens in detail and He gives each of us the amount of strength and grace we need to bear the burden we carry. 6.) God sets his people apart. God wants his people to live differently than the rest of the world. We are to be a holy people set apart for him. God’s presence dwelled amongst the Israelite camp; therefore, the people had to remain holy. God used his laws and pictures of sin and defilement to teach his people how to be holy through obedience. Are we living differently than the rest of the world? Let’s be a holy people set apart for God’s use. 7.) God wants purity in marriage. We see in Numbers 5 a peculiar passage. I don’t have all the answers to explain it – but the key point is this…God wants purity in marriage. Marital unfaithfulness results in consequences and hurts everyone. It leads to distrust and public shame. Forgiveness is available for those who repent. Through Jesus, we find restoration but we can’t escape the hurt and the pain brought to the family and the church as a result. Is your marriage pure? Always remain faithful to your husband. Numbers 1-5 can be considered dry and dull by some…but we see today, it is ALIVE and relevant to us! After Israel was “number”ed, including women, children and Levites — the total was more than a million people. But this was not a mob of a million people wandering in the desert. The Israelites were divinely ordered with God at the center. Each individual had a specific purpose, place and calling given by God. Perhaps, one who needs to be purified? Whatever your place in life today is – you matter. Your life counts! You are numbered as one set apart for God’s service and we are not to abdicate our positions! May we keep God at the center of our lives and may we live out our callings from the Lord in an orderly and obedient way. Enjoy next week’s reading! You may be tempted to quit but in Numbers chapter 10 it gets exciting when the cloud lifts from the tabernacle and Israel begins to move toward the Promised Land! We are laying the foundation and setting the stage for some great learning ahead. I can’t wait! Keep going! Which calling or position do you most relate to and why? 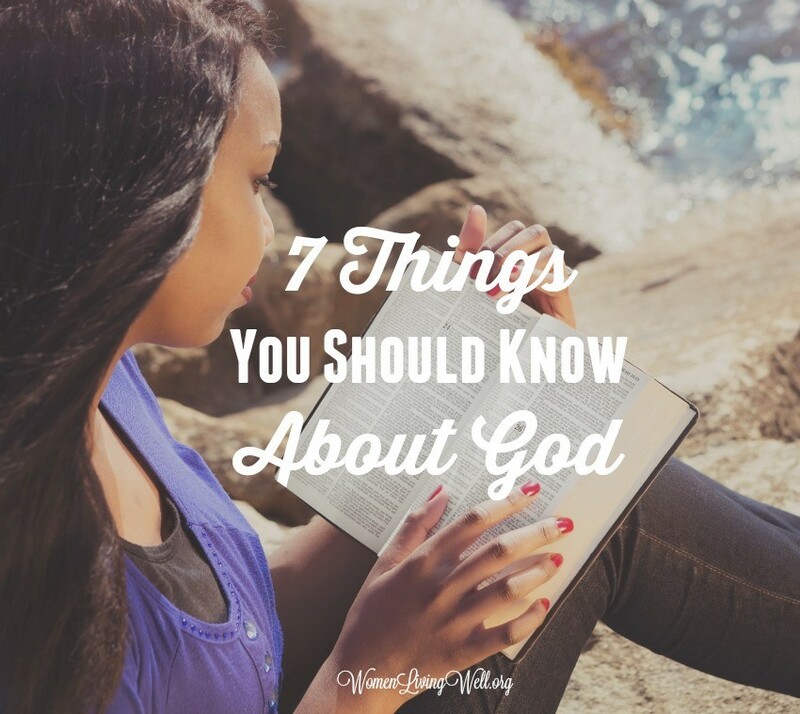 Is there anything you’d add to this list of 7 things we learned about God this week in our study? What else did you learn? I love the image with all the tribes. Today I learned about sea cows…. I was pretty curious about that part in Chp.4! Thank you for digging deeper !!! This is the first time I have ever linked up and I had no idea what I was doing. At least I found a photo that would work. Not quite what I wanted but at least it was one from your Making Your Home A Haven Fall Series. I haven’t learned how to make my own photos/quotes yet. I have just been sharing your discussion question and Bible Verse for the day. On Sunday’s I post from your weekly post. I will share this post. Welcome to the link-up Sarah! A great resource for making images is Picmonkey.com 🙂 Hope that helps! I see myself as more of a warrior. I am always quick to defend whatever I think needs defending! As I was writing this I was thinking – my husband is a warrior and I’m a worshipper but the more I think about it – I feel like a warrior too! Lol! I love this Blog and all that God is doing in the Study of his word through it? Thank you so much for the encouragement this morning!! I love this community too! Such a blessing! Great article Courtney! I understand what you are saying in point #1. I’d like to know though how it’s ok to plan when there are a couple of verses which say otherwise. Thanks for any help you could give me. I do like to plan but have relaxed immensely in this area. I think we need a balance of planning but letting God lead and to consider how God made each one of us. I have one child who loves to organize her closet (she does this every few months) and is very orderly. This is just how God made her. And my other child hasn’t touched his closet for a clean out in 5 years! Lol! Our God is a God of order. Seasons change and tides roll in and out on a schedule. God is a God of detail – each new born baby is extremely intricate in the way God has knit them together in the womb. Since we are made in God’s image we will see these qualities in ourselves and others but all of our plans must always be ultimately yielded to God and His leading. what a fantastic response, i love all the scripture references. Thank you for taking time to reply. Your explanation did help. Wow; you provided some great insight. Can you share this on FB I think more than a few people could benefit from reading it; especially as we continue to study Numbers. As I read your questions and began to examine myself and my life, I realized I can relate to each separate calling/position about equally. There is always room for improvement in each area and I appreciate this post to help me center around what is really important in life. I just joined the Numbers study yesterday and I truly appreciate your viewpoint throughout this particular book. I am learning that just because it is the Old Testament, doesn’t mean that the Word still doesn’t apply to our lives today. I loved the image!! It helps to visualize things! I’m really enjoying this study and learning a lot from it. Thank you for digging deeper and helping me understand things better!! LOVE THIS REMINDER! TO WHOM WE BELONG AND JUST HOW MUCH WE ARE LOVED BY CHRIST! THANKS FOR REACH OUT IN ALL YOU DO IN THE KINGDOM OF GOD ! WHAT A BLESSING YOU AND YOUR FAMILY ARE TO US ALL ! THANKS A AGAIN<AND THE GMG TEAM TOO! THANK YOU ALL FOR YOU DO AND SHARE WITH THE WORLD,ITS GREAT.t. I love this post. I can’t wait to catch up in the readings! I am so thankful for women like you who can make a book like Numbers more interesting. I just never had anyone explain the book to me. It’s quite interesting. Thanks so much, and happy fall!!! I have been reading your devotionals for some time now but decided to jump in on this study since I have so much more to learn about the Old Testament even as a pastor so thanks for your work on this. I’ve learned some new things already. I see myself a bit in each of those roles but as Ashley says too, I could improve in each of these areas. I enjoy learning with others so thanks for your lead on this. A few years ago when I was getting ready to read Numbers, knowing I “didn’t like” it before, I asked God to reveal what He wanted me to see in this not so popular book. He revealed order and organization to me. While not a “fun” book, definitely an important one. Thank you for the great weekly wrap-up. I can see your order and organization revealing God’s. Summarizing the attributes of God was so helpful. In regard to calling, I see myself as a “burden bearer”. Having spent most of my life in care-giving, I have always thought of myself as a “worker bee”. I am thankful for the Lord allowing me to care for His sheep and lambs (mostly ladies). HE is the God of ALL-sufficiency, providing for ALL that we need each step of the way. I am a burden bearer, but I am failing and I am sick of my life. I am only here because I am too much of a coward to kill myself. We are called to stand on God’s word and promises and not looked at our circumstances but what does God promise about marriage? If you are in an abusive marriage or your husband is being unfaithful without remorse, please seek help and get out. You are not called by God to stay and take abuse from your husband. We must stay with our husbands through sickness, unemployment, homelessness, and any of those sort of trials, but not abuse. I too suffer from depression and it is a horrible disease. If a person has cancer or a new baby… their friends, family, and church will often come along side of them and offer to help with housework, childcare, or bring meals. However, depression is a battle we fight alone and in silence. Nobody offers to help us. Nobody knows how we feel or what the battle is like from the moment we wake. Often the ones closest to us have no clue how we really feel inside deep down inside. God knows though. Pray for his help daily, or hourly if needed. Seek medical attention either through medication for depression and/or therapy. You are not alone. Your life matters and you are loved by God. you have no idea how much this study is blessing me right now. Incredible timing in my life. I find the book of numbers fascinating and so revealing of God’s character. May God bless this ministry abundantly. Courtney, I am loving this study. I was struck that I have been given burdens to carry for and by the LORD. Rather than seeing them as negatives, I am purposing to shift my perspective and accepting them as privileges and an honor to serve God in this way. As believers in Christ, we have been chosen to serve the Holy God of the Universe! How often do I consider that when times are trying? I pray to have a gentle and quiet heart, one that’s always joyful, rather than grumbling. I pray to always, always be thankful, resting in God’s sovereignty and provisions- all of them. Regarding chapter 5- while the verses spoke to me about my own marriage and the command for me to be faithful, I was reminded that as a member of the Church- the Bride, I am to be faithful to the Bridegroom. I will fail in my flesh, but prayerfully not in my heart. More importantly, the Bridegroom is ALWAYS faithful to His Bride, and by the power of His indwelling Spirit, believers are seen as blameless by the Father. God is so good!! God bless you and thank you for your servant heart. I love your comments. Thanks for sharing it gave me yet another good application from the study. I am so happy to be reading Numbers with Good Morning Girls. I cannot believe what God is showing me in these chapters. You are a really good leader and the questions you put out there for us to think about are so helpful in growing. I saw in these first five chapters, how detailed, Holy and loving God is. I’m focusing on being ever mindful of His holiness. I do not want to be casual to God, it causes me to be lazy. I’m working on reminding myself, yes He is loving and full of grace but He hates sin and since I have the Holy Spirit living in me because I am a born again Christian, I dare not bring that sin to Him. I’m enjoying this study as I am seeing new things in Numbers. I liked the illustration because I never really realized how it looked. For me the biggest take away is the importance of keeping God in the center at all times, in all situations. Also, living a life of order; not skirting away from household management or trying to be “Superwomen.” Just learning to bear fruit for God by doing what He gives me and not comparing myself to others also rang through. Every time I ever read Numbers in the past I couldn’t wait to be done; this time I am actually seeing a lot of good principles that I can apply to my life and share with others. Just one question…was there a video for this week? I thought I read that you post a weekly video, but I haven’t been able to find it. Hi Nascent! I used to do weekly videos and lately have not been able to squeeze the time in to make them with my busy fall schedule – so there may not be videos for a while. I apologize – thanks for asking and as soon as I can I will make some!! I’m struggling with Numbers 5….God instructing Moses to remove all the “unclean” from the camp? And of course the whole ordeal a women must go through if her husband thinks she is unfaithful. No word on what would happen if a MAN was unfaithful. I’d love to hear others’ thoughts on this. It’s parts of the bible like this that make it difficult for me to want to attend to every word because some of it seems to go against our view of a kind, merciful God. I’m LOVING this bible study bc it is allowing me to question topics like this and get feedback from those more knowledgeable. Thanks for asking this question – I would imagine quite a few are wondering this as well. First, this passage shows us that God designed marriage to be between one man and one woman. This is important to note. This passage in Numbers protects an innocent woman with God as her witness. It is always hard to read the laws of the Torah because they do seem so harsh but they should remind us of the grace God is extending to His children here and now in this present day. It should also make us grateful for the final offering and sacrifice of Jesus on the cross that covers over all of our sins so we can find mercy daily at the foot of His throne. God is good and gracious to women and He loves us so. What an amazing answer. Love your leadership and willingness to serve us in this study, Courtney! Thank you! I am learning so much and am so glad I found you. Just love this so much. I’m so happy to be apart of this group of women! I really feel like I’m soaking in God’s Word this way. Love love love it! I would say that I am a burden bearer. I have a lot going on right now, but I know Who holds tomorrow. I need, want, and pray to remember that. I completed a study of Numbers in the spring. I loved Numbers! I learned so much. Although I am studying another book right now, I can’t wait to read what you and others learn from Numbers. Your article says ” don’t cheat on your husband .” Shouldn’t they also not cheat on their wives ? Thanks Courtney, for the encouragement to not give up. I fell behind in the first week and was tempted to give up. I just opened up last Friday’s blog post and am so glad I did! I intend to MOVE FORWARD! What a fantastic resource. I’m working with some new believers through the book of Genesis and we’re stopping constantly to note the characteristics we observe about God. I love how you noted truths about God and things we should know. I think it makes some of the abstract become so much more concrete! Sometimes we say things to others, yet we are just too close to the situation to apply it to our own lives. Here it is almost two years after the original post, and God placed it before me at just the perfect time in my life…………Numbers……..who’da thunk it? Thank you for such words of wisdom. It is easy to see that God is using your life for His glory.